A lecture entitled “The Letters of Chion and Themistocles” will be presented this Thursday 11 May 2017 by John Penwill from LaTrobe University, as a part of the Greek History and Culture Seminars, offered by the Greek Community of Melbourne. This lecture will take a close look at two collections of letters, neither of which is highly regarded by the academic community: The Letters of Chion (hereafter LC) purport to be a set of letters home by a young man on his way to Athens to study in Plato’s Academy and the effect his time there has on his political judgement when it comes to deciding what to do about the dictatorship in his native city, Heraclea, following a successful coup d’état during his absence. 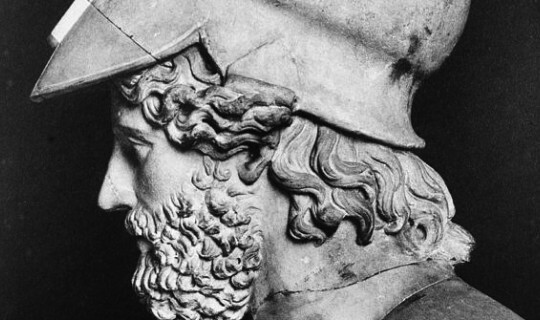 The Letters of Themistocles (hereafter LT) likewise focus on an individual protagonist prominent in Athenian politics about a century earlier, and like the LC purport to be a set of letters written to a selection of friends and enemies in his home city and elsewhere following his ostracism in 471 BCE. Both texts use the epistolary form to explore the character and motivation of their protagonist, but do so in very different ways: all letters bar one of the LC are addressed to Chion’s father Matris, whereas in the LT the recipients come from a range of individuals and locations. But in both cases what we are clearly dealing with is a carefully constructed and thought-provoking text, and one that is at least one grade of sophistication above the essays on such topics which students were required to compose in the schools of rhetoric that abounded in the first and second centuries CE. John Penwill grew up in Tasmania and studied first at the University of Tasmania and subsequently at Downing College, Cambridge . He has a first class honours degree in Classics and a Diploma in Education. He taught at Monash University from 1972-1977 and at the University of Tasmania from 1978-1981 before being appointed to La Trobe University's Bendigo campus. John's general research interest is in the field of Greek and Roman literature. He has for the past 40 years been Associate Editor of the international refereed journal Ramus: Critical Studies in Greek and Roman Literature, to which he has himself contributed a number of articles. His particular interest is in Roman literature of the late republic and early empire, and his focus within that is the interface between literature and philosophy. John has also published articles on Plato's Symposium, the Letters of Themistocles, the literature and philosophy of the Flavian period, Virgil's Aeneid and Georgics, Epicurean theology, Lactantius' De Ira Dei, the battle narratives in Homer's Iliad, Livy's representation of Numa (the second king of Rome), Tacitus' Dialogue on Orators, Terence's Hecyra, Seneca's Trojan Women, the Letters of Chion and epic poetry of the Flavian period. He is a Vice-President of the Classical Association of Victoria, and was editor of the CAV's journal Iris from 1996 to 2012.